Fewer than 35 of these sons and daughters are known to be alive today, and one weighed in on the debate on Confederate statues. Justin Sullivan/Getty ImagesA New Orleans city worker wearing body armor and a face covering prepared to measure the Jefferson Davis monument in New Orleans, Loiusiana as the city began the process of moving three statues of Confederate luminaries from public spaces and into museums. Protests that, at times, turned violent erupted at the site for weeks before the statue’s removal. It’s kind of crazy to think that there are still people walking around this country who can truthfully say things like, “Back when my dad was fighting in the American Civil War,” but there are — at least a handful of them, anyway. Fewer than 35 of these individuals — all of whom were fathered by men in their late 70s and 80s — are known to be alive today, and one of them in specific doesn’t want anyone to forget it. Indeed, 94-year-old Iris Gay Jordan has some choice words for activists working to remove statues that honor the Confederacy. Her argument comes at a time when the topic of Confederate monuments is particularly salient. 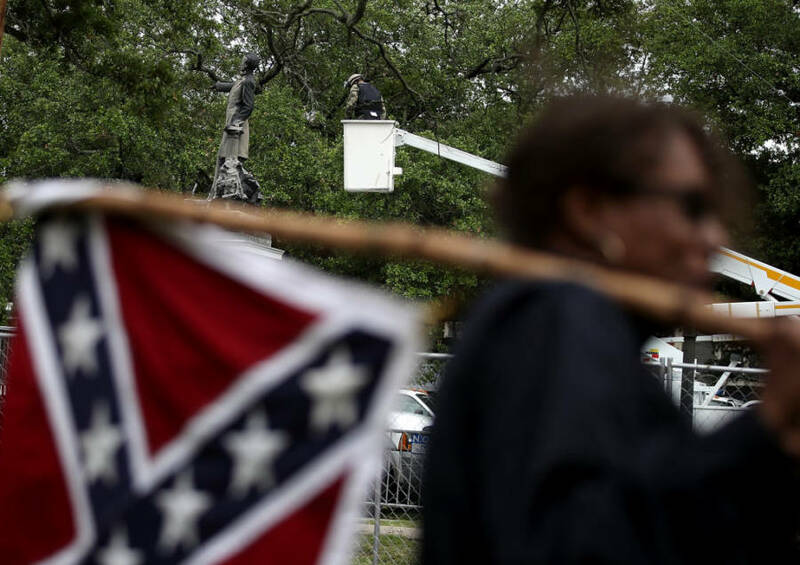 Cities across the country are facing calls to remove Confederate flags and other symbols paying tribute the Southern states’ fight — more than 1,500 of which still remained in public spaces as of 2016. It’s a controversy that was sparked by the horrifying 2015 murder of nine black church-goers in South Carolina, carried out by white supremacist Dylann Roof. After photos surfaced of the 21-year-old killer holding a gun and a Confederate flag, the “Stars and Bars” was removed from the South Carolina Statehouse. The flags were soon lowered in Montgomery, Alabama, as well. Next, a statue of Confederate General Nathan Bedford Forrest — who was also a Ku Klux Klan leader — was taken down in Memphis. A few months later, New Orleans began a debate that would lead to four Confederate statues being removed this year. 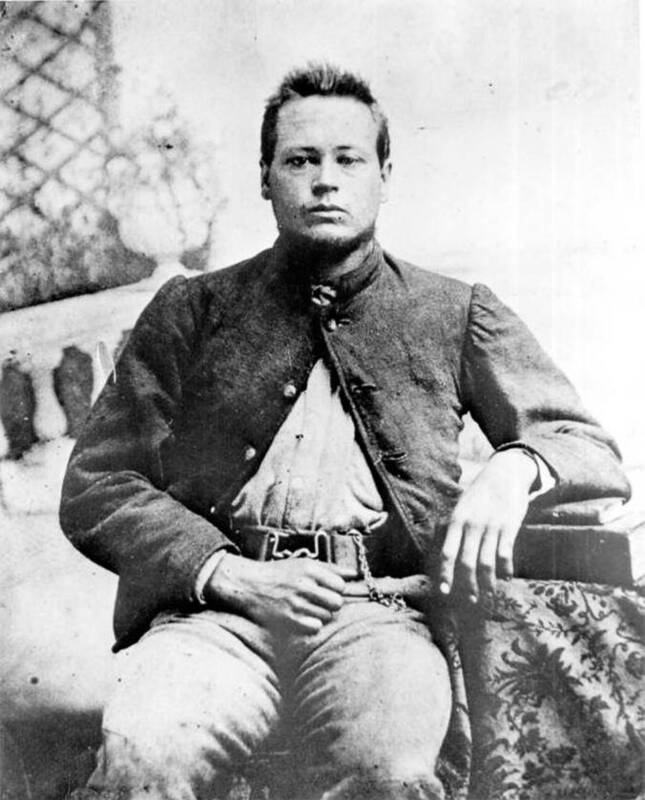 Iris Gay Jordan’s father, Confederate soldier Lewis F. Gay. For Jordan, this is tantamount to dismissing her father’s life and legacy, along with that of the many Americans who died in the war. A Florida resident, she maintains that many people fought in the Civil War for issues other than slavery. She said her family didn’t own slaves and her dad interacted with black neighbors when they needed farming equipment. 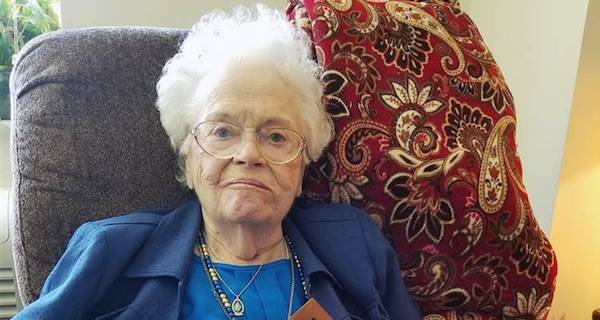 “I’m not a bigot,” she added, noting that she and her husband spent their lives helping find homes for orphans from other countries. Arguments such as this, The Southern Poverty Law Center (SPLC) argues, are beside the point. Even if you, or your dad, or your grandpa, or your great-grandpa don’t or didn’t personally believe in the institution of slavery — that’s what the Civil War was about. That’s why activists don’t want to honor it in spaces that are meant to belong to everyone. It’s also beyond question that the Confederate flag was used extensively by the Ku Klux Klan as it waged a campaign of terror against African Americans during the Civil Rights movement and that segregationists in positions of power raised it in defense of Jim Crow laws. In 1963, Alabama governor George Wallace unfurled the flag above the state Capitol shortly after vowing “segregation forever.” In many other cases, schools, parks and streets were named for Confederate icons during the era of white resistance to equality. Despite the well-documented history of the Civil War, legions of Southerners still cling to the view that the region fought to defend its honor and its ability to govern itself in the face of Northern aggression. This deeply rooted narrative is the result of many decades of historical revisionism and even textbooks of the South that sought to create a more acceptable version of the region’s past. The Confederate monuments and other symbols that dot the South are very much a part of that effort. “In another 50 years they won’t even know there ever was a civil war, probably,” Jordan said. But campaigns to remove the monuments aren’t trying to erase the history of the Civil War — they’re trying to correct others’ understandings of it. Next, read about the human remains recently found in a Civil War Confederate submarine. Then, check out these 26 photos of children who fought in the Civil War.